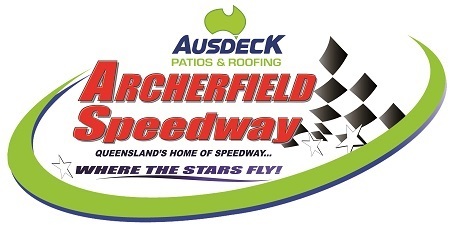 What better way is there to start a New Year than with a feast of V8 dirt track action at Ausdeck Patios Archerfield Speedway? That is a rhetorical question of course because obviously there is nothing better than a night at the speedway any time of year, especially when two of the worldâ€™s best Sprintcar drivers are in action against all of the local stars. Yep, thats right, World of Outlaws champion Donny Schatz and fellow WoO star Logan Schuchart return on Tuesday night (January 1) to contest round nine of the East Coast Logistics Sprintcar Track Championship. In what will be another massive night of motorsport entertainment, the Paul Britten Dirt Modified 44 will also feature on the program, along with Formula 500s, Fireworks and a Demolition Derby. After striking trouble on Saturday night when contact from a lapped car sent him crashing out through turn three, Donny Schatz will be primed to make amends on Tuesday and return to that special place he visits with such regularity; victory lane. Although he wasnâ€™t leading at the time of his accident, Schatz was lurking patiently behind Andrew Scheuerle and seemingly poised to challenge the defending track champion for the top spot until he happened upon Brock Dean and subsequently found himself upside down and out of action. The ensuing restart saw Luke Oldfield pounce to usurp Scheuerle and take the race, while Schuchart enjoyed a solid, and somewhat fortuitous start to his Australian tour, inheriting third spot when Brent Kratzmann hit the wall in the final turn. So, beyond Oldfield, Scheuerle and Kratzmann, who can step up to take on the Americans come Tuesday night? The most obvious candidate seems to be Mitchell Gee given that, in consecutive events, he has finished very strongly to secure top-five results on both occasions. He will only need to better navigate the opening stages of the race to find himself in a position to challenge for a place on the podium. Toowoombaâ€™s Peter Lack is another potential contender, his fight back on Saturday night particularly impressive as he surged from the back of the field to finish sixth. Like Gee, if he can qualify strongly and not give his rivals a free ride in the early stages of the race, he is most certainly capable of upstaging anybody. After such a strong run on Boxing Night, Allan Woods struggled to make any impact last weekend, while Kevin Titman has also shown glimpses of speed without the consistency required to be a regular front runner. Meanwhile, the likes of Kristy Bonsey, Andrew Corbet, Ben Hilder, Brodie Tulloch and Mitch Gowland have produced some recent results that suggest they will be in a position to capitalise should the big guns misfire and, with another 20 drivers also hell bent on finding their best form just days out from the Titan Garages Australian Open (January 4 and 5) and less than a month before the Australian Championship (January 26 and 27), the first race meeting of 2019 might just prove to best of the season thus far. Held in very high regard by Dirt Modified competitors, the Paul Britten 44 is one of the most sought after events on the schedule each season. The event always attracts the biggest names of the category and this year is no exception with no less than six Australian Championship winners in the 27-car field. Current national titleholder Kevin Britten leads the charge with an obvious determination to win the event staged in honour of his father, a category administrator who was passionate about Dirt Modified racing. Joining Britten in battle will be former national champs Mark Robinson, Andrew Pezzutti, Scott Cannon Jai Stephenson and David Clark, along with more than 20 others. In addition to the unusual 44-lap feature race distance, that race is unique in that the top qualifying drivers are invited (encouraged) to start from the rear of the field and fight their way to the front, which always make for a great spectacle. Such is the depth in the category at the moment, the likes of Geoff Phillips, Ray Klarich, Ray Eggins, Sam Bruggy, Klinton Hancey, Terry Leerentveld, Mitchell Randall and the Corbett brothers are all genuine contenders for a place on the podium. In the absence of her fiancï¿½ Liam Williams from the line-up this week, Kristin Brown will lead the 14-car field into battle as they face the challenge of trying to rein in Ryan Skennar, whose form in recent rounds has been exceptional. Included amongst those trying to prevent Skennar from winning his third feature race win in a row will be Jarrod Bampfield, Tarhlea Apelt and Nathan Pronger. Ford vs Holden vs Sigma Sedans are also on the program, which gets underway with early racing from 5.00pm. Gates open at 4.00pm (3.30pm for online ticketholders) and Sprintcar time trials will get underway from 5.30pm, with the main program scheduled to kick off 6.00pm.